Check out my recipes for Homemade Muffin Mix, Dark Chocolate Cake, and Pumpkin Cranberry Muffins! As a kid I remember making all of our own cakes, pies, cookies, and muffins from scratch. It wasn’t until I got a bit older that I remember having cake mixes in our cupboard. It was fun and exciting to try the different flavors on the brightly colored boxes. Fast forward a few years and you’ll find a homesteader that is no longer excited about opening boxes to bake. I can’t make it through the ingredient list without making little tsk tsk sounds. I don’t want my family to consume those artificial flavors and colors. For about the same price as a cake mix and frosting in a can, I’m able to make a cake with organic and homegrown ingredients. To top it all off, it only takes a few minutes longer to measure the ingredients. So why not do it yourself? Homemade chocolate cake – you don’t have to suffer to save a dime and your health! A Healthier Way of Life ~ On A Budget! You don’t have to be a homesteader to want a simpler way of life. Many people wish for an idyllic lifestyle, complete with an apple pie cooling on the window sill and a rooster crowing in the barnyard. You can get back to a simpler, and healthier, way of life just by rethinking your food choices. Do you grab tubs of cookie dough or boxed cake mixes at the grocery store, instead of making your goodies from scratch? Most folks are so conditioned to open a box, rather than a cookbook. They don’t keep the raw ingredients on hand so it’s a much bigger hassle to start baking from scratch. It might seem a bit pricey to go out and purchase flour, sugar, baking powder and soda, vanilla, and spices all in one shot. But if you add up the cost of baking mixes or ready made cookies and compare that to the cost of the raw ingredients, you might be surprised at how much you can save. You also have control over the ingredients. A cookbook won’t call for yellow #5 or artificial butter flavor. Using healthier ingredients could very well reduce your health care costs down the road. 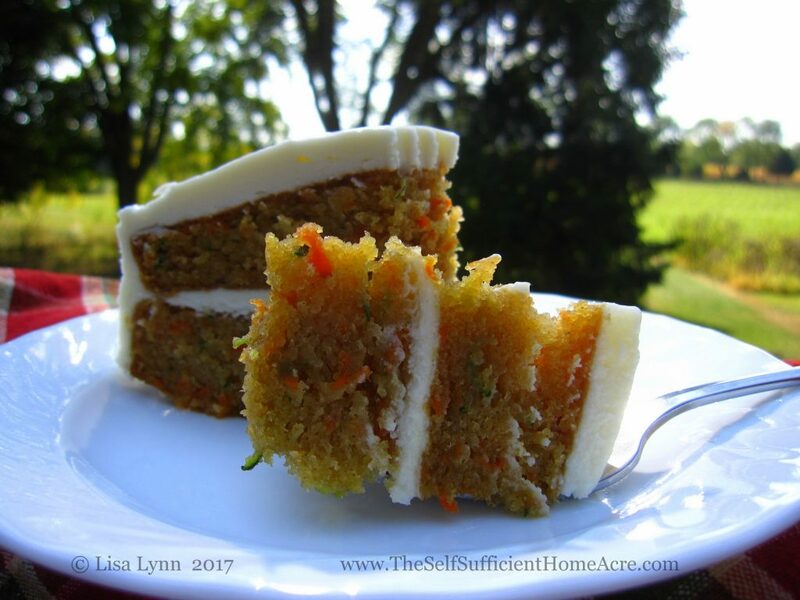 So baking from scratch is really about choosing to take control of your expenditures, your health, and your way of life. Find recipes in cookbooks or online. Start by choosing a recipe that you’d like to try and read it. Do you have all of the ingredients, measuring cups, and pans needed for the recipe? Make a list of the things you need. Will you be able to use them for other recipes? Start with a simple project, like bar cookies. You’ll need a baking pan, mixing bowl, spatula, and measuring cups and spoons. If you’re on a budget and you don’t have everything you need, perhaps you can borrow from a friend. Add the items to your grocery list and avoid processed ingredients such as bleached white flour and hydrogenated shortening. Start when you have time to measure, mix, and bake. Preheat the oven. Read through the instructions and be sure to measure according to the recipe. Flour should be added to the measuring cup with a spoon to avoid packing it down. Level dry ingredients with a straight knife or spatula for accuracy. When measuring liquid ingredients, set the glass or plastic measuring cup on a counter and add the liquid. Look at the measuring lines from straight on to make sure you’re adding the right amount. Whip up your own baking mixes! You’ll be an old pro at baking before you know it! The ingredients you purchased for your first project will most likely be needed for your next recipe. Try using recipes that use what you have on hand and watch for them to go on sale so you can stock up. Don’t store too much flour in your cupboard. Try freezing it to prevent meal worms from ruining it. Try your hand at creating baking mixes that can be stored in the pantry for those days when time is in short supply. You’ll Be Glad You Started! When you get the hang of baking from scratch, you’ll find that it really isn’t that difficult to make a wide variety of delicious and healthy baked goods for your family. You can reduce sugar, use natural ingredients, and ditch the junk. You’ll also notice how much better your homemade cookies and muffins taste when you ‘cheat’ and snag a store bought cookie. One bite and you’ll know why homemade is better! Do you bake from scratch? Or do you find yourself picking up ready made goodies from the store to save time? what a great post. I do most of my baking from scratch…it’s such a sense of accomplishment when I’m done. Thanks so much for sharing! Thanks, Lauren Ann! Yes! You’re so right…when I bake from scratch I know that I’m feeding my family well. Thanks for stopping by! It sounds yummy Deb! I bet everyone raved about it! I cannot figure out how to print recipes.Help!! I need to figure out how to set up my recipes so they are easy to print out…sorry I haven’t figured that out yet! In the mean time, you can highlight the recipe by clicking and dragging your cursor over it, then right click and choose copy. Open a new word document and paste the recipe there. Save it and name it so you’ll be able to find it quickly. I’ll try to find out how I can set up my recipes so that you can grab them more easily…just not sure how to do that yet. I’m much better at taking care of chickens and my garden than I am at figuring out how to customize my blog! A nice post – good info and its always good to encourage people to bake from scratch, for all of the reasons that you said. I think it is horrible that kids today would think that “baking cupcakes” means buying a box of Betty Crocker and dumping in some oil and a factory farmed egg. I have a sweet tooth and so have baked goods on hand all the time, but I try to fill them with as much healthy ingredients as possible. Flaxseed, oats, nuts, maple syrup and honey instead of processed sugar. People don’t realize that even when they buy pre-made mixes, they are not buying any special ingredient. They probably already have everything they would need to make it from scratch at home. Thanks, Katie. 🙂 I’m so glad you are baking up your own healthy goodies! You are so much better off for it! Thank you for reminding me of my roots. Today I will start making everything from scratch again. It is time to start living the good and healthy life.